Afraid to raise your prices? Don’t be – and here’s why. When we first start a business, the biggest question we often think is, “what should I charge?” We tend to start out where we’re comfortable and confident people will buy. After a while we may find that we’re making sales easily. That’s an indication to consider raising prices. If you also find that you’re working at capacity and losing money, that’s also an indication your pricing (as well as your operations) needs to be reviewed. What stops most business owners from raising the bar? Fear. Many business owners think that if they raise their prices, it will scare-off their customers and they’ll look to your competitors. Feeling nervous about the adjustment is normal, but consider that in some circumstances, price implies value. You wouldn’t go to a discount doctor, would you? You also may find that you do lose a few customers, but if you’re making more profit from the others, and new ones, you may be better off in the long run. In an ideal world, your business should raise their prices every year. 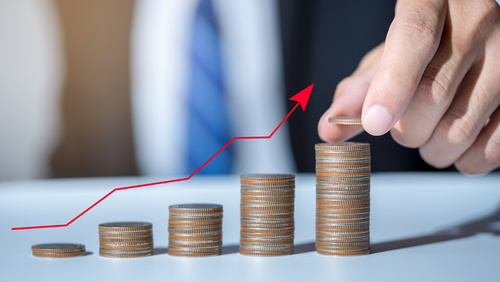 You Should evaluate your pricing annually, taking into account new capabilities your firm has developed, your overhead costs, and the general economy. Look at media giant Netflix. The company originally had a streaming combo-plan for $10 per month. Soon after, they decided to raise their prices to $16 – that’s a 60% increase! Customers weren’t happy and unfortunately took to social media to complain (Kuadey, 2011). I’m sure there was a strategy behind this – perhaps one big increase instead of a bunch of little ones but do try to avoid this with your business. If you do want to raise your prices this much, try it with new customers. Your pricing sets the tone of the kind of company you want to be and the type of customers you are looking to have. For instance, if you are known for your low-cost pricing – customers typically won’t expect high-end customer service. If you have higher-pricing – customers will expect all the bells and whistles for what they’re paying. Growth – You’ll want to grow your business, not just gain a ton of new customers. It’s actually 6-7x more expensive to gain a new customer, than it is to keep a current one. (Source: White House Office of Consumer Affairs). Cleaning House – Having the right customers is what matters most to a business. If you raise your prices, your low-quality customers will leave and go elsewhere – leaving those high-quality customers who see the value in what you charge. Quality over Quantity – Your business’s increase in costs are not the same as increasing in price. Most of the revenue you get from increasing your prices goes toward increasing profits. Competition – When figuring out where your new pricing should be, look at your competition. You may not want to be the lowest, or the highest, but show your customers the quality and service they can get. Statement – Most consumers have heard the saying, “you get what you pay for.” If your services are too low, many buyers will assume there’s something wrong with it. Also, other competitors may follow suit and lower their prices, and then you’re just in a race to the bottom. Focus – By raising your pricing, you need to look at the service as a whole. Will you also need to improve your quality of service? What other high-value items can you provide to your customers? By focusing on your value will help show your customers that you’re willing to focus on the overall experience in the long-run. Each year, be sure to look at your pricing and your business’ financial health. Not increasing pricing when needed, can result in loss of cash flow when your business is ready to grow. Have questions about pricing? Reach out to me at judi.otton@growth-cast.com.